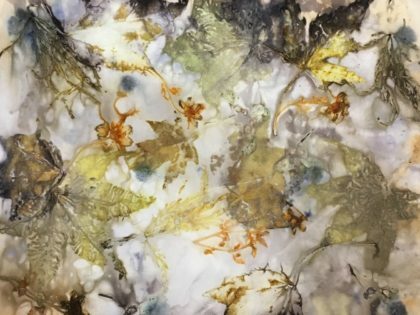 Using readily available plant parts and environmentally friendly techniques, create beautiful sheets of printed paper that can be used as stationary or framed art. Start by layering paper with dried leaves and stems, then boil them to release colorful organic compounds, resulting in amazing, one-of-a-kind designs. You will also press fresh leaves and flowers onto watercolor paper and transform them into greeting cards. Please bring your lunch.